Whether it’s bloomed dahlias, rustic country barns, or colorful trees that have you saying “I do” to a fall wedding, one thing’s for sure—there’s no shortage of lovely ideas to pore over while planning an autumn affair! Like so many couples this fall, we engaged the Boston Wedding Group—the city’s largest planning network with access to the region’s top experts—to hone in on this season’ hottest trends. 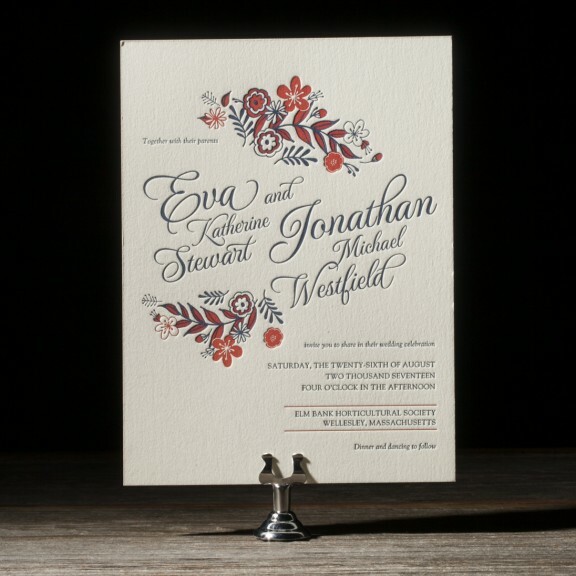 Invitations depicting floral motifs and watercolor prints are in full bloom this fall, with envelope liners donning pretty petals and invitation borders and text embellished with ivy or vines. 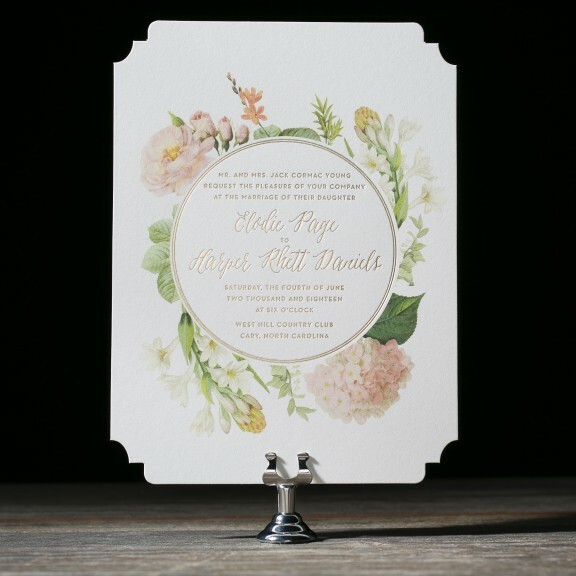 Whatever your florals you pick, shops like Beacon Hill’s Invitations & Company offer several beautiful options that’ll make your celebration artful from the start. According to BWG partner, DesignLight, putting floral materials into chandeliers is a hot trend right now. 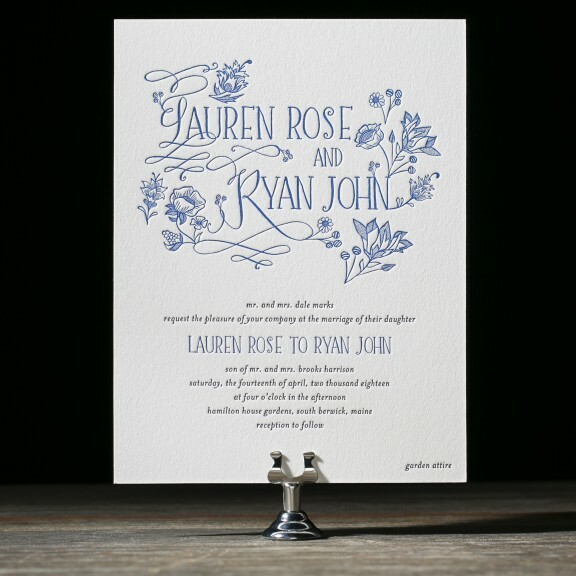 This is a great look and adds a custom touch to the wedding design. 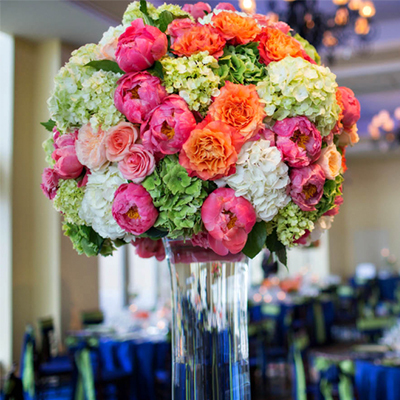 The florals can coordinate with your centerpieces and bouquets for a cohesive look. Make sure your chandelier can accommodate the added weight of the materials and have a professional install them. You never want your family member on a ladder the day of your wedding! In today’s world of social media, people want to share in moments instantly via videos that can be saved, sent, embedded, and treasured for years to come. 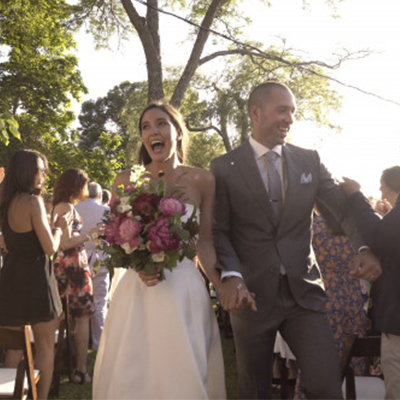 This fall, studios like JPod Films are creating and editing same-day movies for couples, allowing guests to watch ceremony highlights as soon as the reception via projection screens. And, newlyweds get to leave with a video keepsake that documents their special day. Dreaming of an eclectic look for your wedding? Lots of couples are this fall, according to RESERVE Modern Event Rental (parent company Peterson Party Center). One great way to achieve a bohemian-inspired space is to mix and match metals and finishes by incorporating things like gold chandeliers, silver candle holders, copper table vases, and brass hardware. Nothing’s off-limits, and the result is a chic, contemporary take on industrial venue design you’ll marvel at. While traditional, classical music will always have its place at a wedding, some couples are opting to march down the aisle to the beat of their own drum. More popular songs and contemporary styles are being requested, according to the Intermezzo Chamber Players, and professional musicians are composing original songs specifically for couples at their request—how romantic! 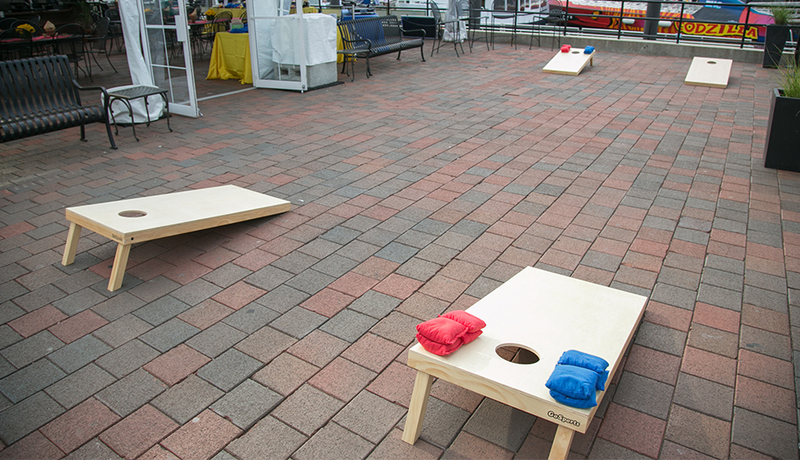 Popular wedding venues like the New England Aquarium are having more couples request fun games like corn hole and giant Jenga, which are fun ways to keep guests busy while offering another activity besides dancing. Plus, it’s great for small indoor or outdoor areas near the reception that can use filling, and can appeal to all ages. Espresso shots during cocktail hour and cappuccino bars during dessert service are giving those who get married in cooler months a sophisticated, delicious way to keep guests warm. Thanks to tasty catering options like Espresso Dave, the piping hot trend is also a great way to rekindle memories for couples whose first date was in a coffee shop! Viral wedding videos are gaining momentum thanks to fun content being shared on Facebook and YouTube among family and friends. And, when couples plan choreographed first dances with the help of dance studios like Ballroom in Boston, you better believe people will be watching! In some cases, entire wedding parties are also getting in sync with the bride and groom to show off their moves and wow the reception crowd. 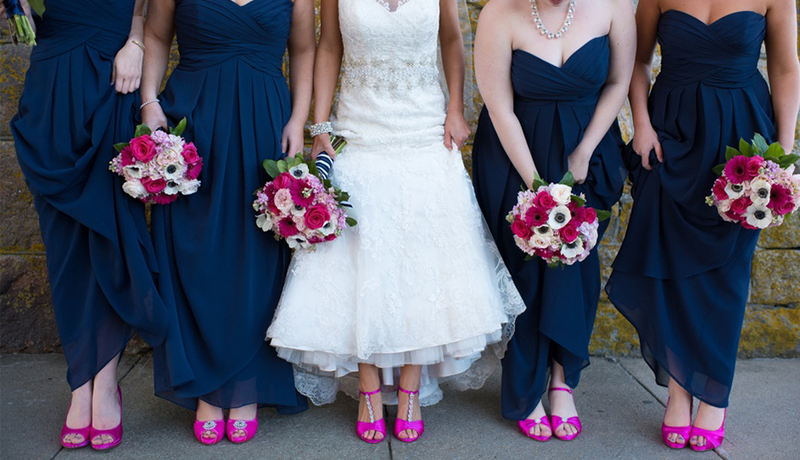 These days, lots of brides are trading their traditional ivory shoes for colorful Shoes to Dye For! The vast inventory at the leading supplier of stylish stilettos includes dyeable shoes brides and their bridesmaids can design themselves, to create their own quirky look that’ll really pop and make for fun photos to look back at. While fine artisan chocolates aren’t exactly a trend, sweet confections perfectly flavored with local craft beer and whiskey are definitely gaining popularity this fall. Artisan candy makers like EHChocolatier will be helping make many a sweet celebration this autumn, no doubt! 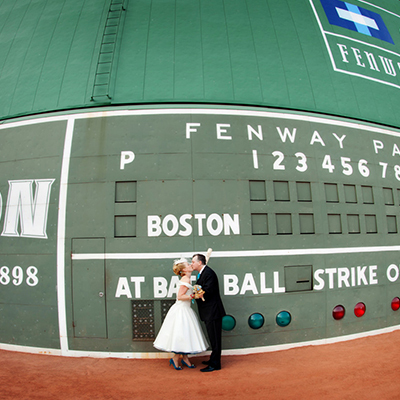 Discover more ideas for your upcoming ceremony and reception by checking out the Boston Wedding Group blog—and find the perfect network for your wedding regardless of the season.